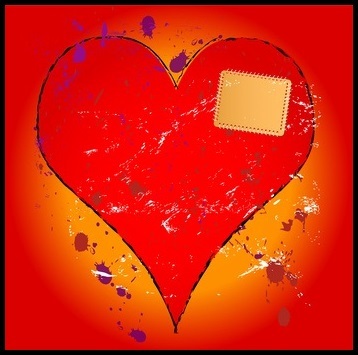 Dr. DeFoore's Healing Anger Newsletter entitled "All Love Needs To Be Tough Sometimes"
(In case these links don't work on your mobile device, click here to read the newsletter on the web with full functionality). Note: This newsletter is an updated version of the June, 2010 issue. 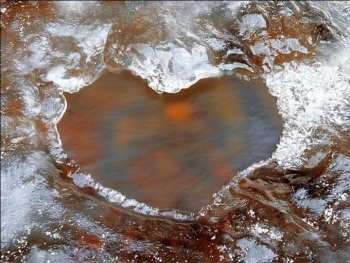 Love only has to be tough in a challenging or difficult relationship. And, all relationships are challenging at some point, so tough love is something just about everybody needs to understand. Tough love can be defined as: Setting clear boundaries and limits to actions and options of others in your life, while remaining kind, respectful and empathetic for the other person. When love is tough, it's still love. If the "tough" part gets too big, the love gets crowded out, and it just doesn't do any good. Tough love has a lot to do with healthy anger. When anger is healthy, it works in support of love, and when love is tough, it has healthy anger in it. But the love is always the strongest part. Tough love might seem mean, cold and unkind to the other person, because of the clear, firm boundaries being set. Think of times in your past when you or someone else has set clear boundaries in a loving, clear and compassionate way. How did you know the love was there? How did you know the boundaries were clear? Thinking through those types of experiences will tell you a lot about tough love. Setting limits for children and adolescents. Limits without love just don't work. When your child feels loved, the limits are almost always accepted. Establishing boundaries around intimacy and sexual contact. A lot of people, women in particular, feel that their body belongs to whoever wants to have their way with them. This always leads to problems, and tough love is greatly needed here. Ending a relationship. It is surprising to me how many people stay in unhealthy relationships long after they need to leave them. In the worst case, this can be a battered person scenario, but there are many milder cases as well. Read these letting go quotes to help. "Tough love is real love, and it is never mean or intentionally hurtful." Without tough love, you will be walked on, taken advantage of, and possibly abused. Make up your mind to learn healthy anger and tough love now! Keep your positive connections working for you by discovering all of the ways to participate in the Goodfinding Community Online page. Tough love can help you be happy and have healthy, enjoyable relationships. Another term for tough love is healthy anger. When anger is healthy, it works hand-in-hand with love and wisdom, which is a good definition of tough love. Tough love means knowing when and how to say "No!" Tough love comes from self love. If you don't love yourself, you simply will not stand up for yourself and set boundaries. Tough love also means having empathy for the other person. Love just does not exist without empathy. If you "avoid conflict" or "can't stand conflict," you probably don't have tough love skills. These conflict resolution skills will show you how you can express tough love in a relationship. These relationship quotes and this relationship advice will also help you, as well as this CD program that gives a lot of information about boundaries in marriage and this one for parents of adolescents. 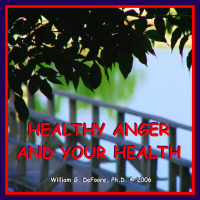 This highly effective audio program, available as a CD or MP3 download, will help you develop healthy anger so that you can use tough love when you need to..
Take advantage of the free previews when you click on the image above, and the no-risk return policy that guarantees your satisfaction. New web pages for you. Read new contributions from good folks like you, such as My Wife vs. My Family by a man who feels caught in the middle between his wife and his family of origin, and From Adoring To Bully Mom by mother who found her anger beginning to come out after the birth of her second child.